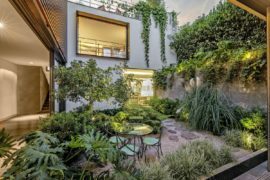 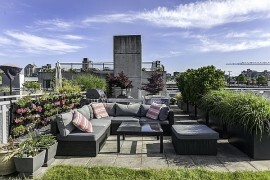 Creating a modern green oasis in the heart of a bustling city is a hard task that demands both creativity and the ingenious use of space. 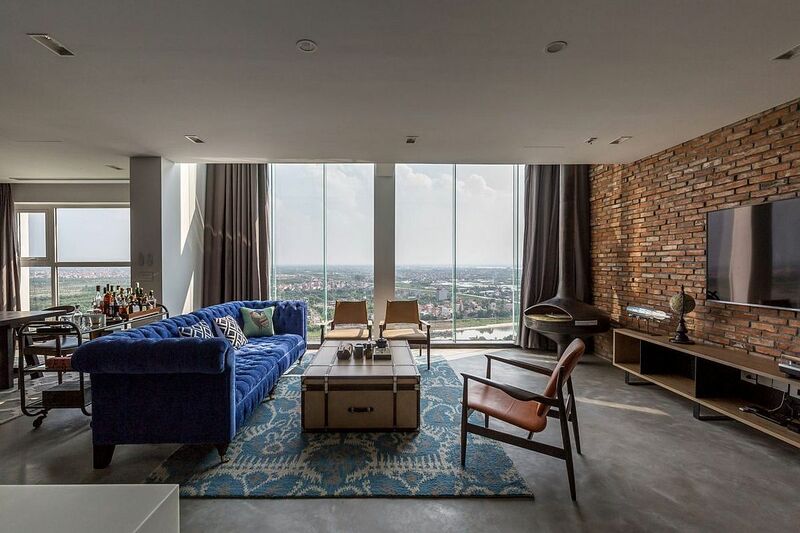 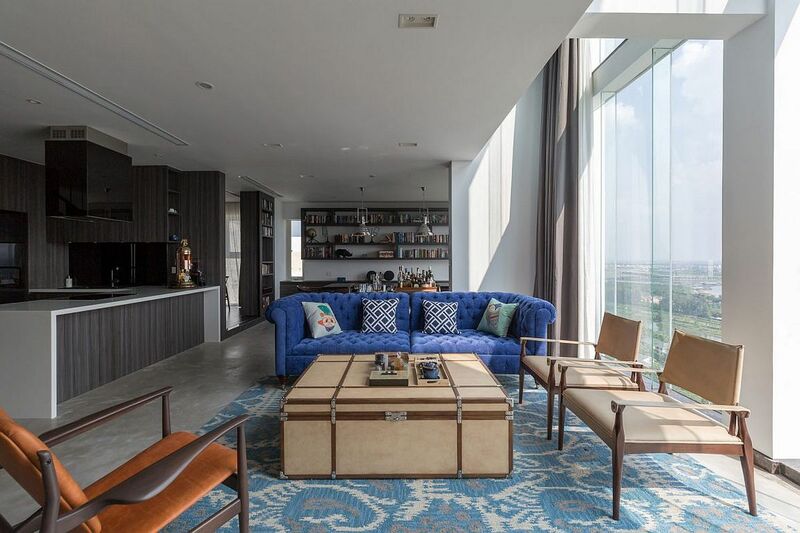 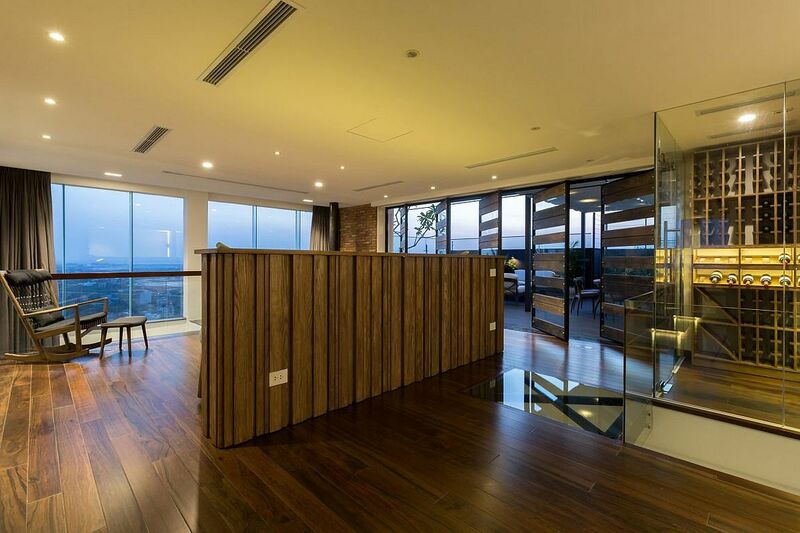 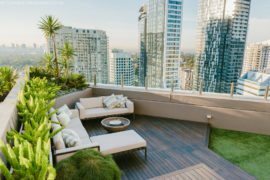 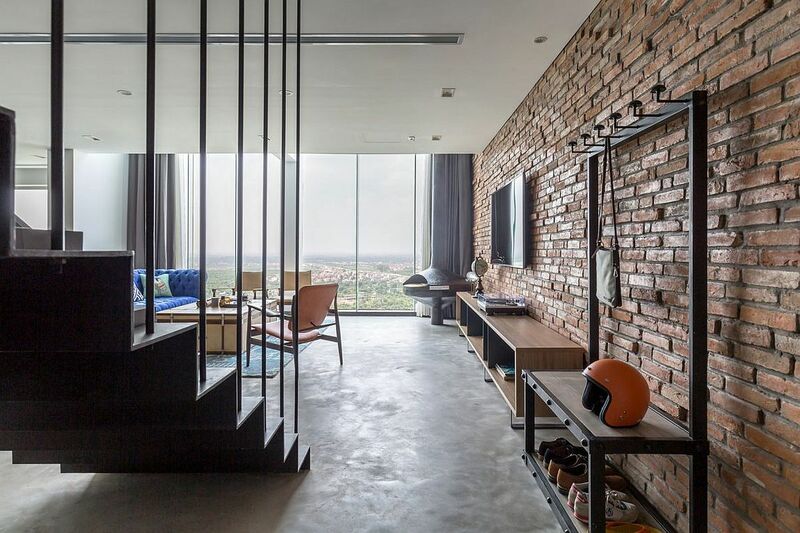 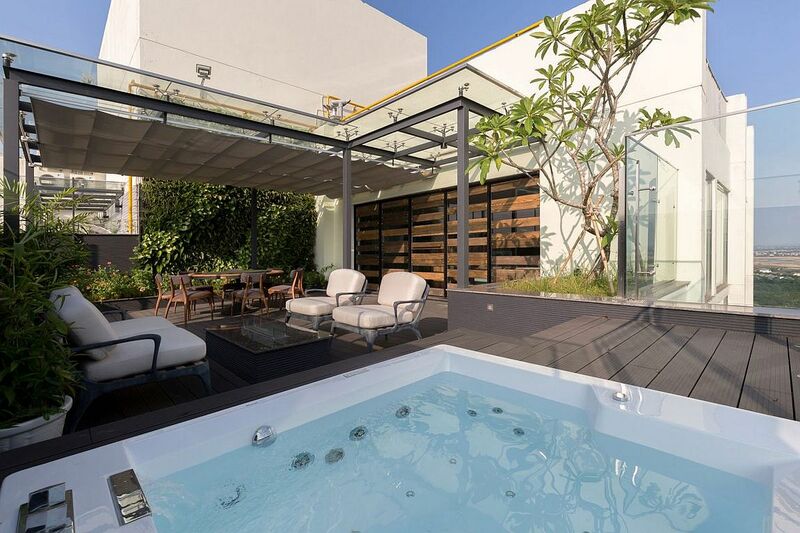 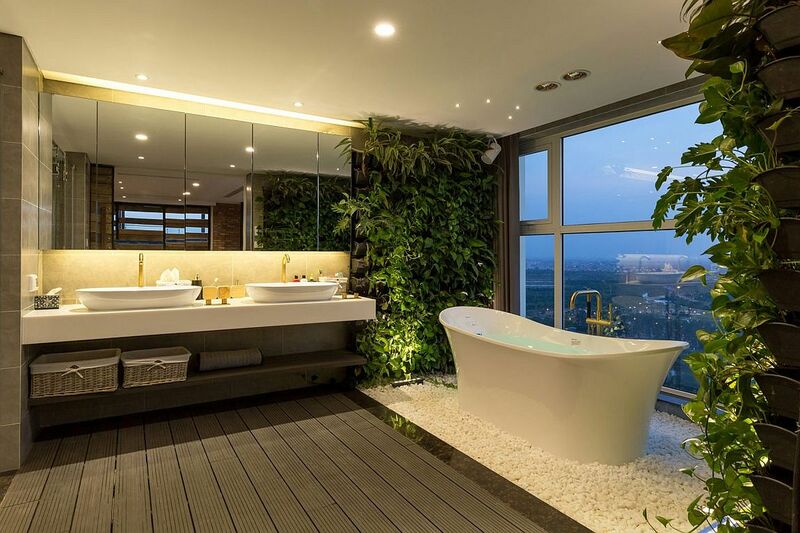 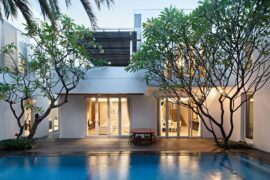 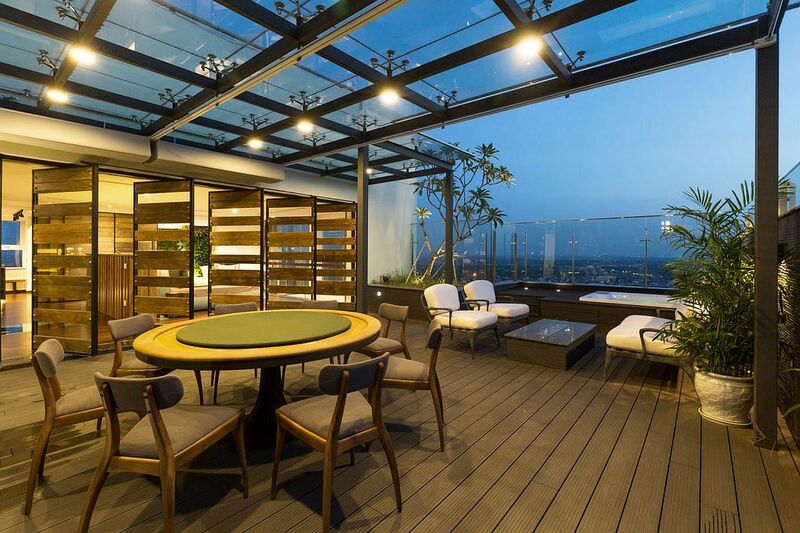 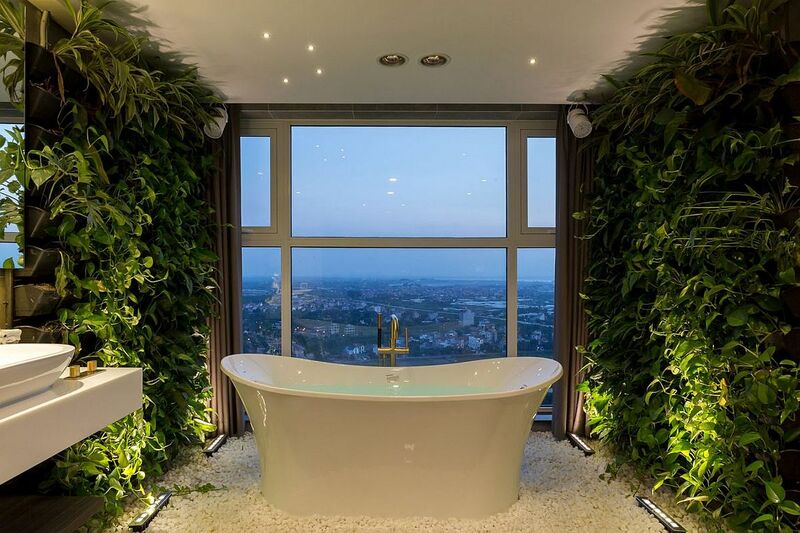 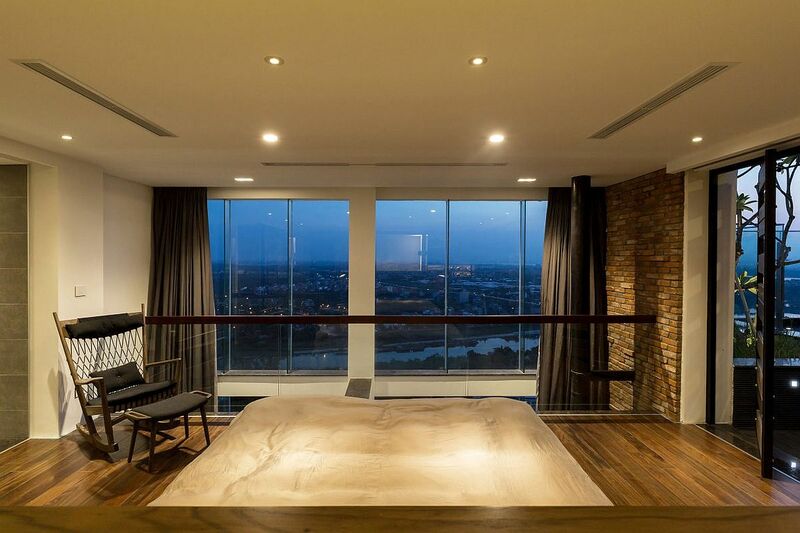 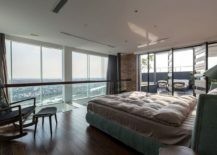 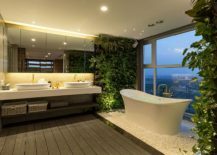 Nestled in Hung Yen Province, Vietnam and opening up to unabated views of the city skyline and beyond, Penthouse Ecopark is all about combining a relaxed and comfortable urban lifestyle with a splash of greenery that takes you away from your mundane life. 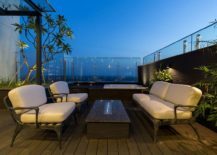 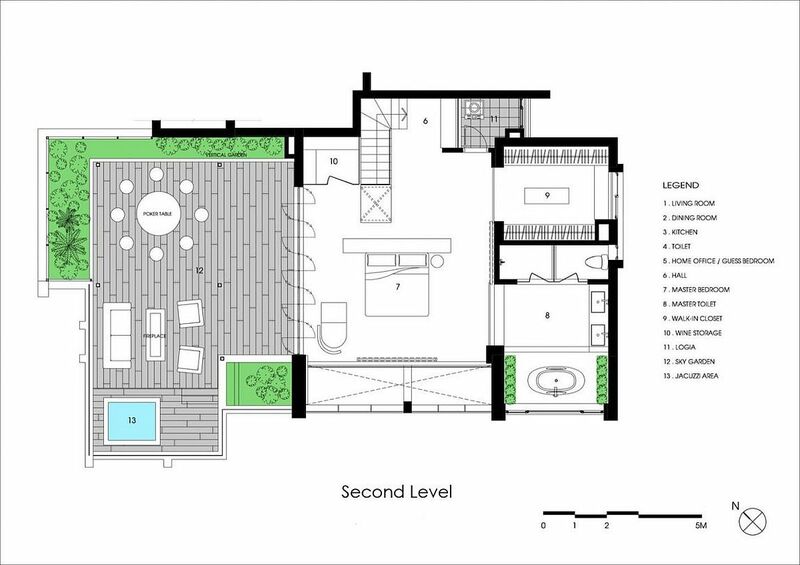 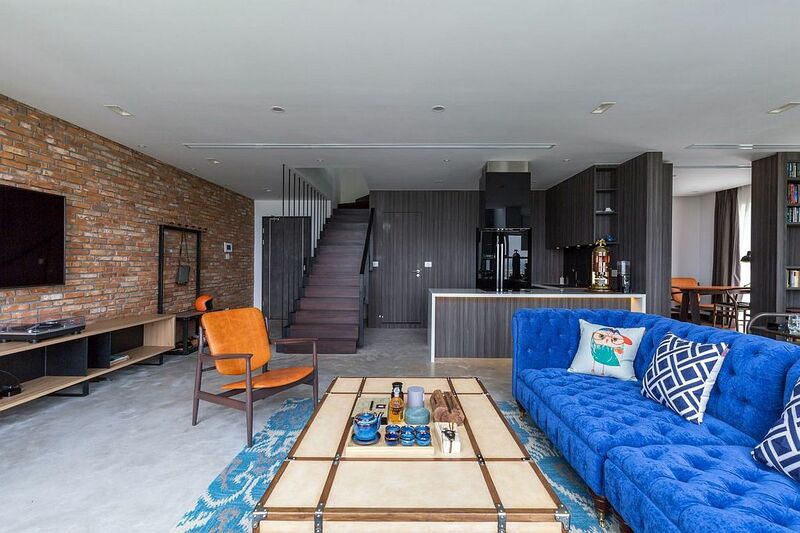 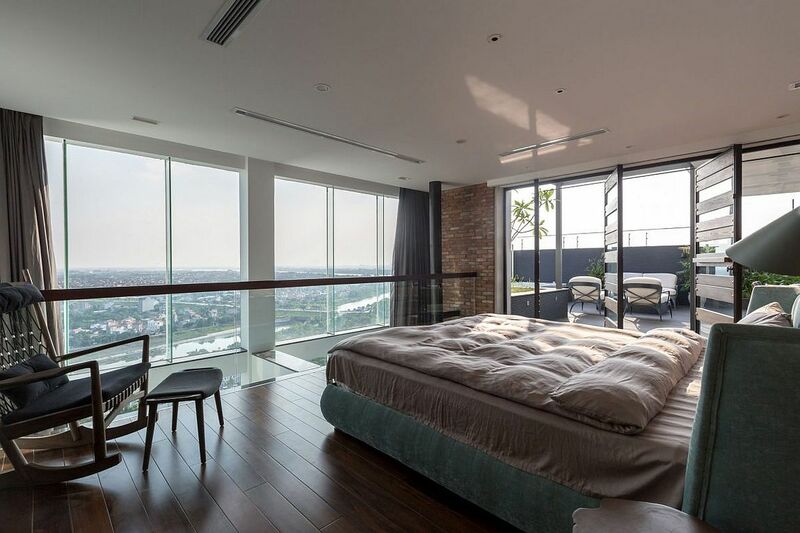 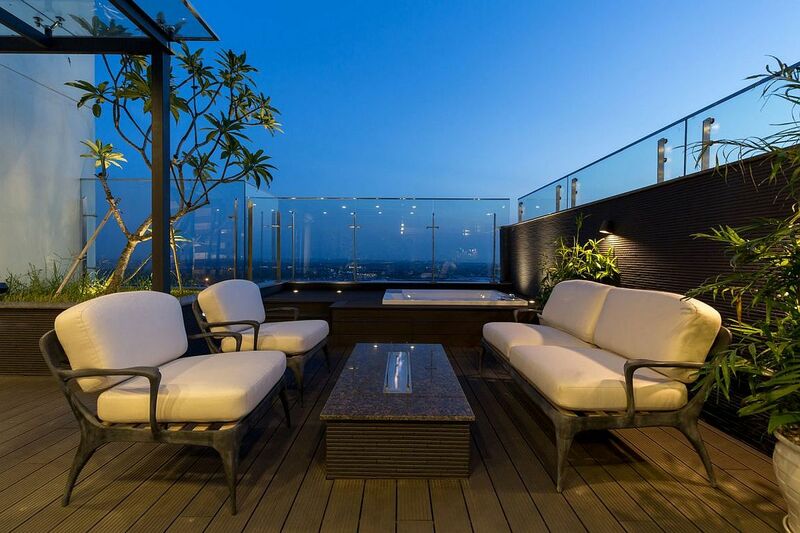 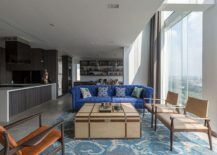 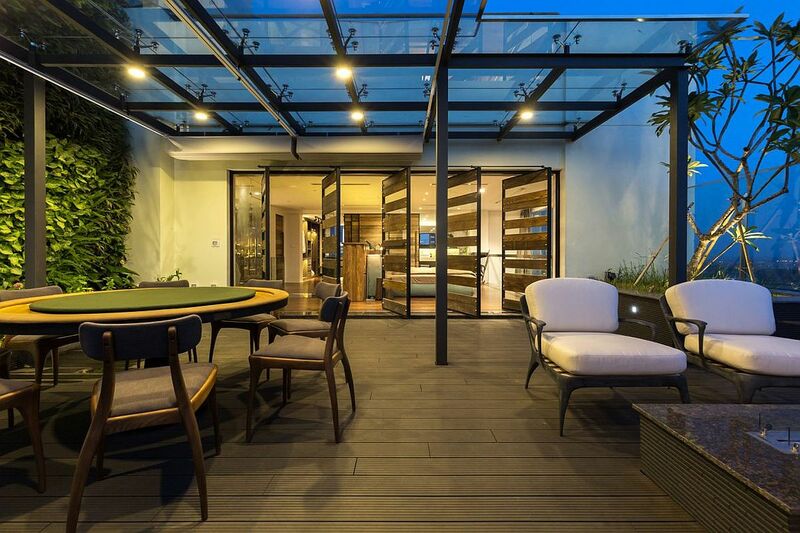 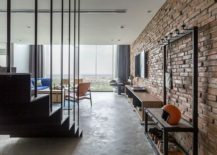 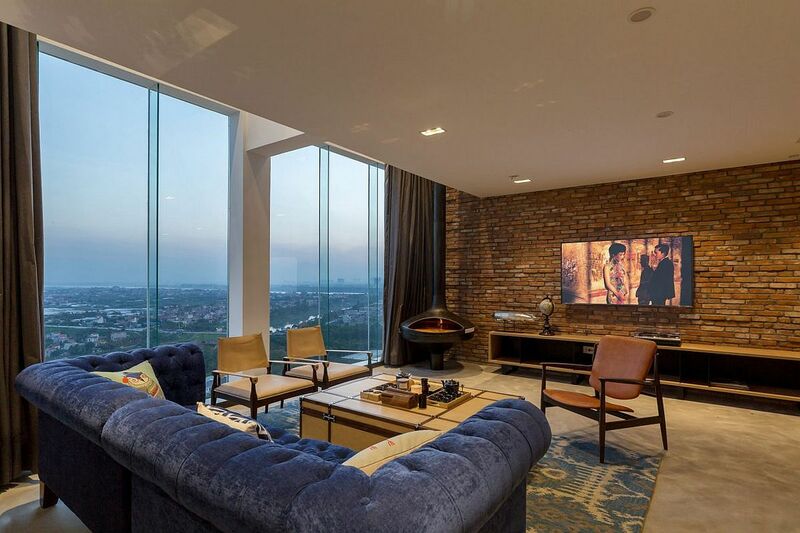 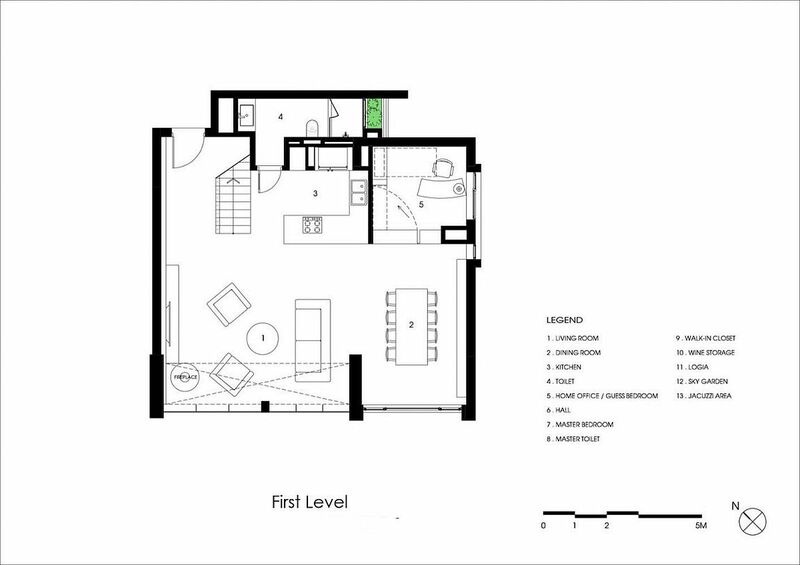 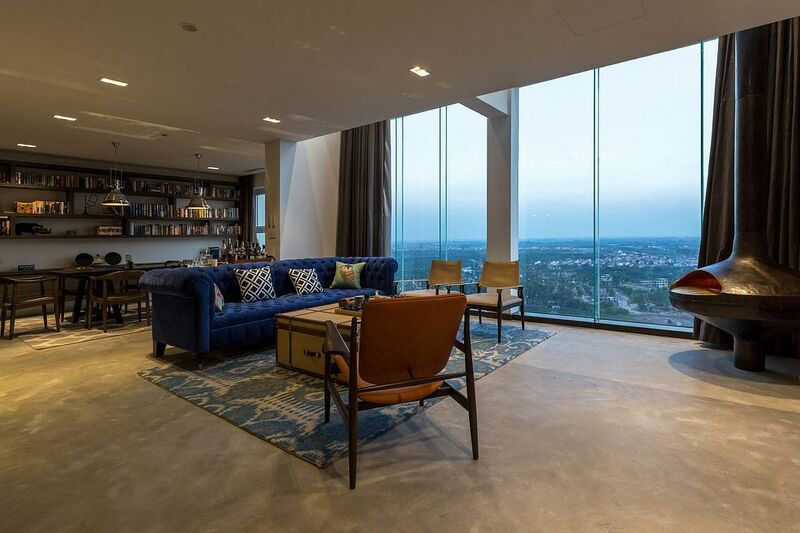 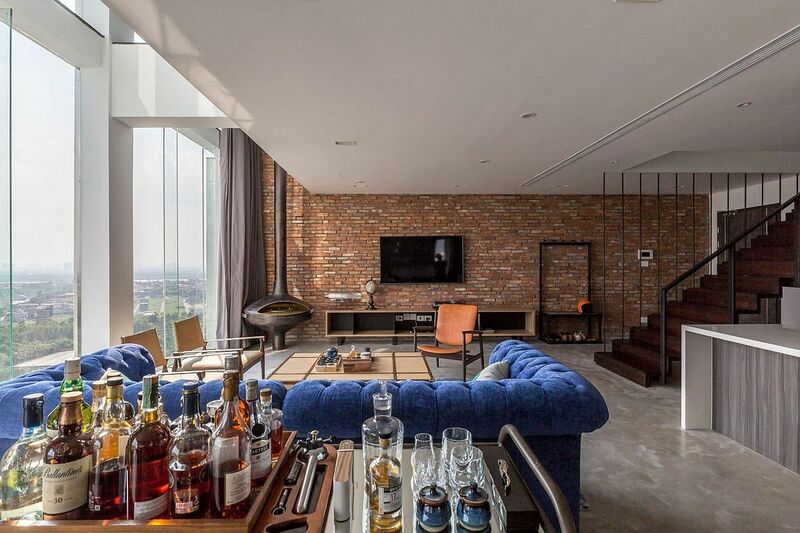 The penthouse spread across two levels was carefully designed by ihouse to ensure that space-savvy features were seamlessly merged with an open living area that is both modern and industrial at the same time. 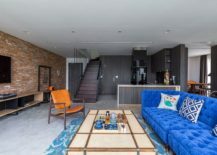 It is the first floor that houses the open living area, with its gorgeous, exposed brick wall, industrial-style décor and large glass windows that flood the space with even, natural light. 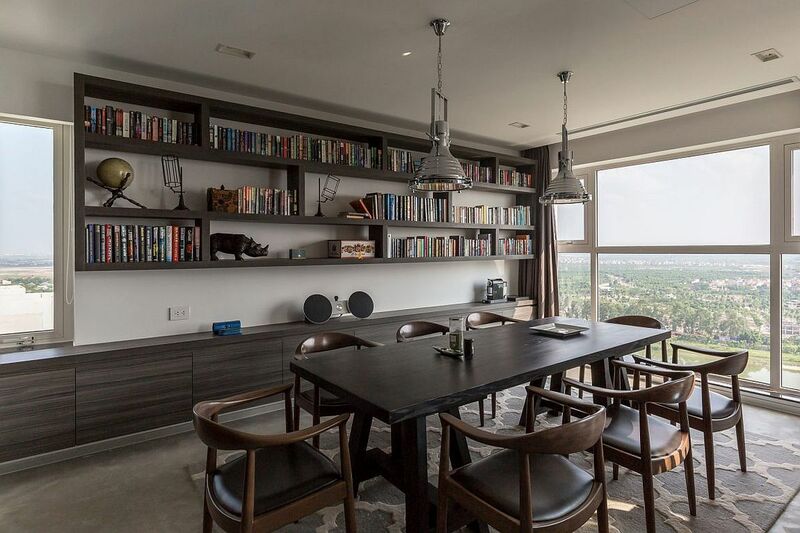 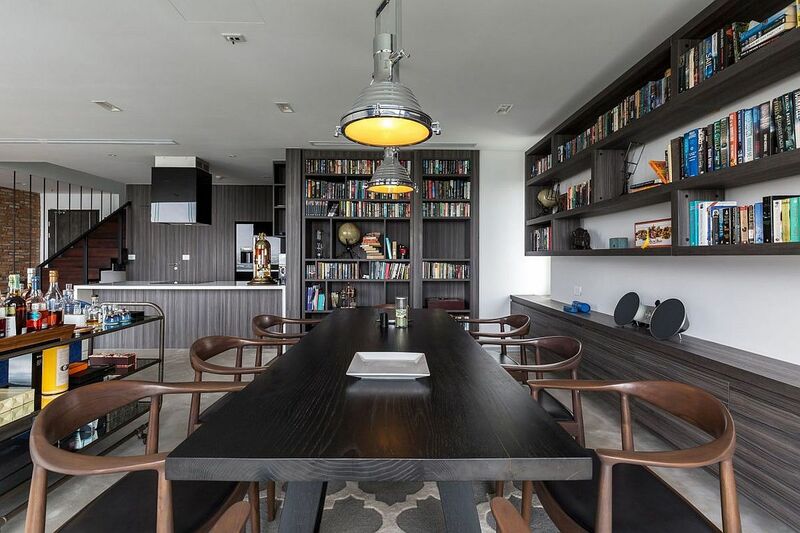 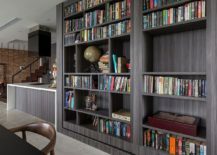 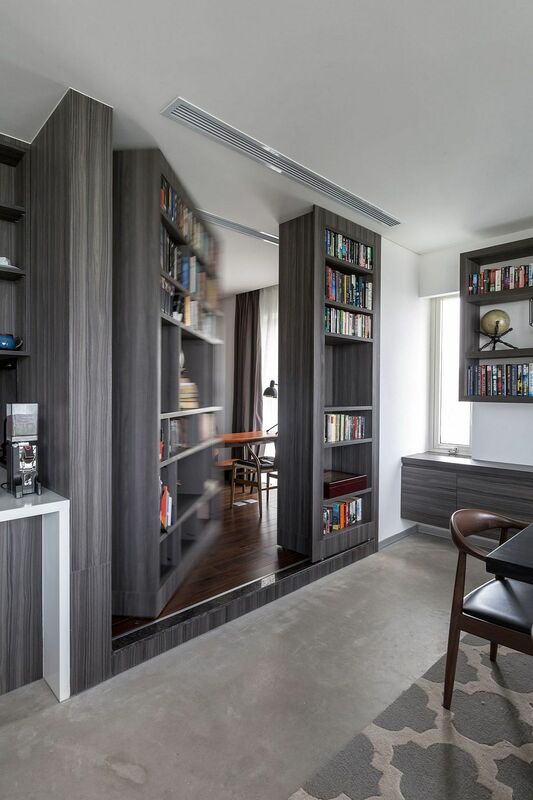 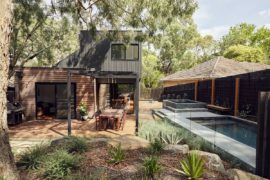 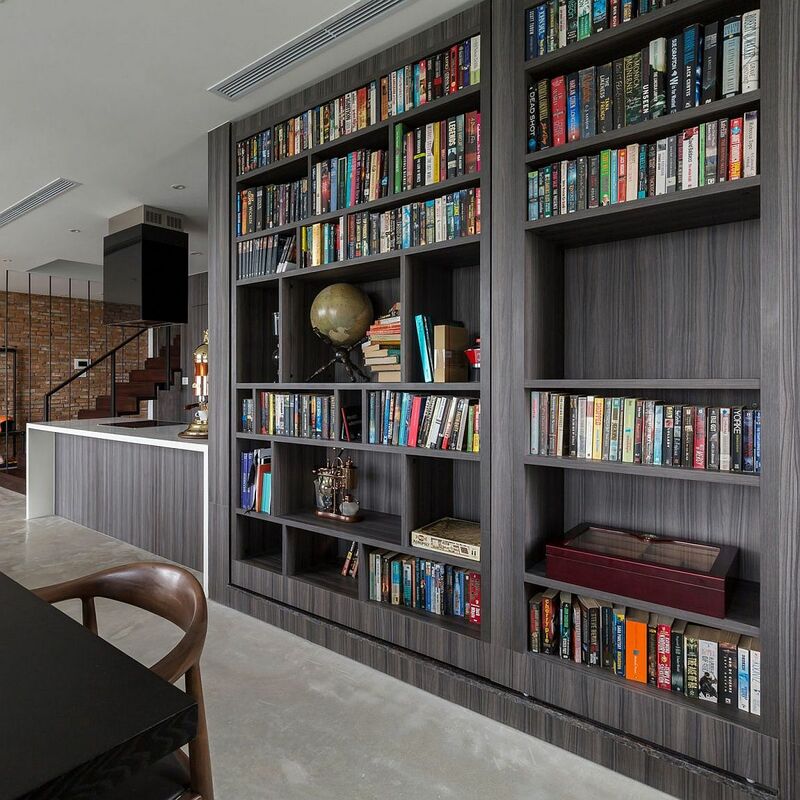 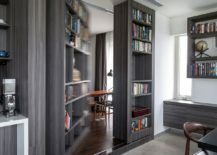 Sitting next to the living area is the kitchen in its delightful gray, wooden tones, and the even more dashing dining room, which doubles as a cool home library. 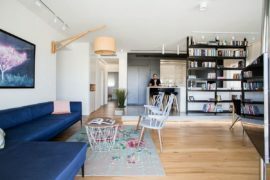 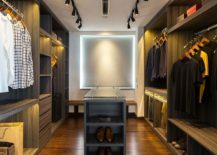 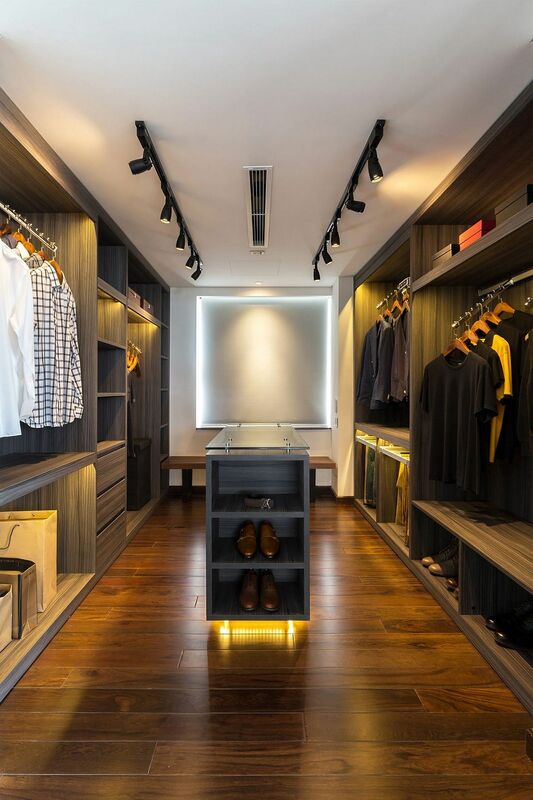 Open shelves and kitchen cabinets that stretch all the way up to the ceiling ensure that both display and storage space is maximized, even while keeping the living area as uncluttered and inviting as possible.